You are a start-up. The story of your life is about to be written. 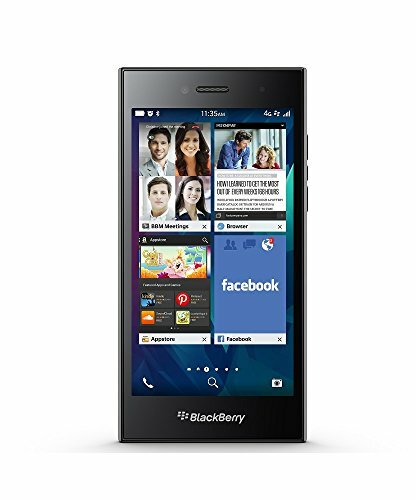 Get the competitive edge you're looking for in a modern, powerful design with the BlackBerry Leap. Type fast and accurately on a touchscreen keyboard that learns how you write. The BlackBerry Keyboard provides an effortless typing experience with personalized next-word suggestions, which you can simply flick into your messages. You don't live 9 to 5 - you're the all day, all night type. With up to 25 hours of heavy use for power users like you, the BlackBerry Leap will power through even your most demanding day. With its 2800 mAh battery and optimization of power consumption in BlackBerry 10, the BlackBerry Leap delivers battery life that can often outlast even you. Experience web content, apps, and services in a big way on the 5" HD BlackBerry Leap. The industry recognized BlackBerry 10 browser is amazingly fast and beautiful. BBM lets you chat and share with speed, control and privacy you can't get on other IM apps. If you have any questions about this product by BlackBerry, contact us by completing and submitting the form below. If you are looking for a specif part number, please include it with your message.